Let’s forget about “art” and “literature” for a moment, shall we? What’s the history? Well, the original book’s a few years old now. I wrote it pretty much headlong, in the space of maybe five or six months, which is fast for me. It was a very difficult period. My Dad was dying, my life was falling apart, and I was quietly losing my marbles. (OK. Sometimes, not so quietly.) All of this, one way or another, went into the book. Where my marbles got to is another matter. The book came out from Tartarus Press, a very fine publisher specialising in beautiful hardback editions of classic horror – Machen, Walpole, Sarban, Aickman – as well as a number of contemporary writers. The reviews were enough to turn my poor head, but, like I say, fame, fortune and improved good looks weren’t in the package. I was, however, pleasantly surprised to get a message from Stephen Gallagher, author of some amazing novels, including The Bedlam Detective, The Real William James, and the classic Chimera; plus TV shows like Bugs, The Eleventh Hour, and Dr. Who. We kept up an occasional correspondence over the years and shared silly jokes on Twitter. Then, he told me that he’d started his own publishing imprint, and was interested in putting out a paperback of Frankenstein’s Prescription. 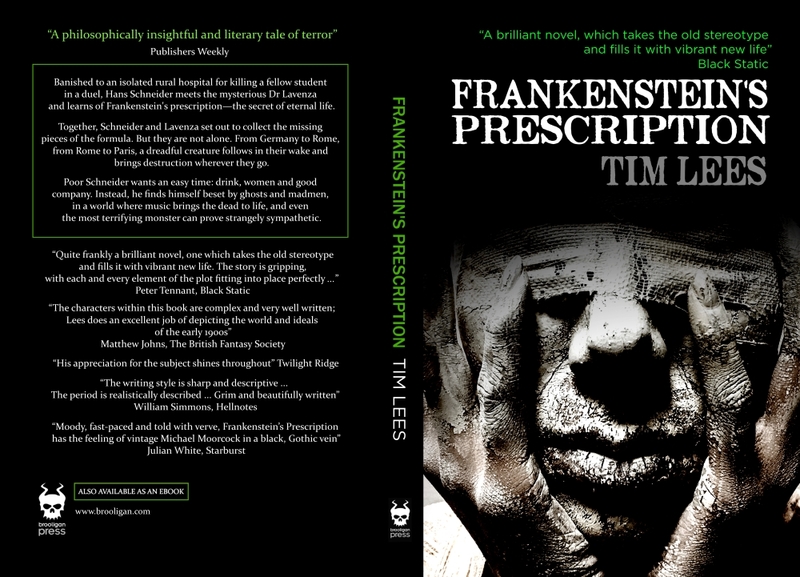 Now, for those of you who want the deluxe hardback (and it really is a thing of beauty) or the e-book, those are still available from Tartarus at http://www.tartaruspress.com/lees-frankenstein-s-prescription.html. Take a look at their other stuff as well. You’ll find things you’ve heard of but never seen and things you’ve neither seen nor heard of, but want to know about – a perfect mix of old and new. and, if you’re not already familiar with it, check out Stephen’s work, much of it available on the same site. 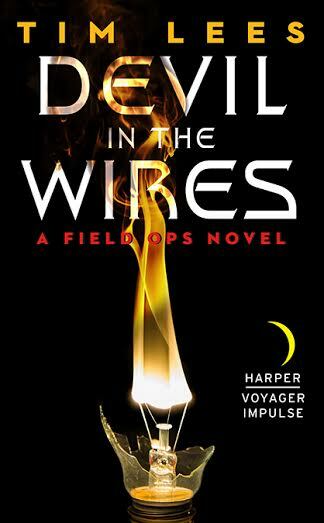 From Iraq to Paris, to London, to Chicago: the Devil’s in the wires, and Hell’s about to follow. 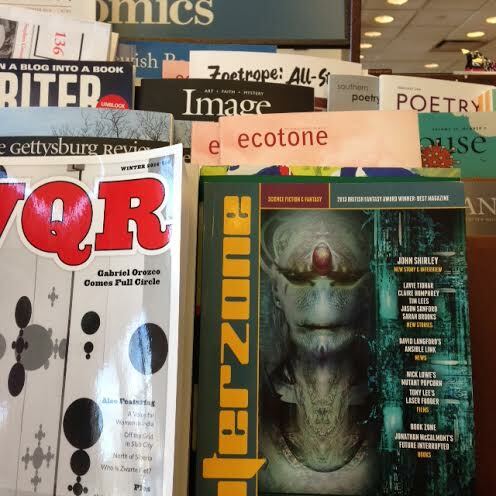 And here is Interzone in Skokie, Illinois, another Unknown City of America. 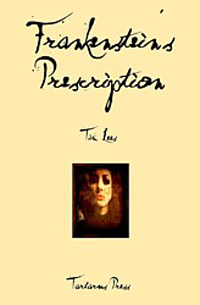 Frankensten’s Prescription is now available on e-book from Tartarus Press, and you can buy it directly from them, or on Amazon. It’s listed at $3.99 over here and I assume an equivalent price in the UK (about £2.50…?). What you miss, of course, are the beautiful Tartarus production values – their books are glorious as objects, never mind what’s written in them. But if you have an e-reader, and a few bucks or quid to spare, take a look. You can find more details of the book itself by clicking on the side-bar here, visiting the Tartarus Press website (http://freepages.pavilion.net/tartarus/fprescription.htm) or simply chasing up some of the on-line reviews. This is my second e-book in a couple of months (the story collection, News from Unknown Countries, is available on Amazon). Still new territory but, much as I love the feel of paper, I suspect it’s the way of the future – the equivalent of the paperback revolution of the ’50s and ’60s. It’s quick, cheap, portable, and can be bought wherever you can log in. Look, read, and most of all, enjoy. 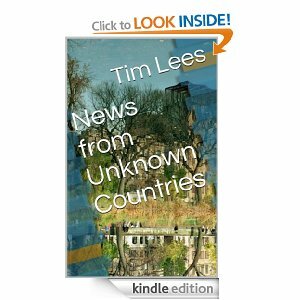 Here is a selection of Tim Lees’s acclaimed short fiction, where everyday reality is just a step from the strange, the sinister, the marvellous… Here is news from the unknown countries of the human soul. And, despite the blushes, I can’t resist adding this resounding tweet from TTA Press: Tim Lees is one of the greatest story writers on Earth. Please read this. Crime authors are ten a penny these days, but mention must be made of Frank Bill’s debut collection, Crimes in Southern Indiana (FSG Originals), where pulp shock-horror confronts a Midwest long since cut out of the American dream. Bill’s characters are worn down by their own lives, desensitized and numb to the needs of others. They kill because it solves their problems, whether the inopportune arrival of a lawman, the burden of an inconvenient lover, or a relative who refuses to die and pass on their inheritance. There’s grim stuff here – I’d never realised how many ways there are to describe somebody being murdered – but also restraint and compassion; in the title story, which centres around dog fighting, we’re spared the grisly details of this so-called “sport” in favour of the grief felt by a man whose dogs have been used for bait. It’s a book in which sensational foreground material is off-set by little touches of humanity and wider political awareness, never hammered home but always lurking in the background: when Able Kirby pimps out his granddaughter to buy drugs, it’s not meth or crack he’s after, but cancer medication for his dying wife. There are good people in Indiana – my in-laws, for a start – but from now on, when we visit, I’ll keep the car doors firmly locked until we get there. Those who read Mike Carey and Peter Gross’s monthly The Unwritten (Vertigo comics) will get a great deal of pleasure from the free-standing graphic novel, Tommy Taylor and the Ship that Sank Twice. Those who don’t read it should. On one level, it inspects the way that stories shape our world; on another, it looks at the fate of poor, confused Tom Taylor, a Christopher Robin figure whose whole life has been dominated by his father’s best-selling children’s books. Is he really the boy magician, Tommy Taylor? This graphic novel answers a few questions and poses more, while juxtaposing a (rather good) Harry Potter pastiche with the sinister manipulations of its fictional author. 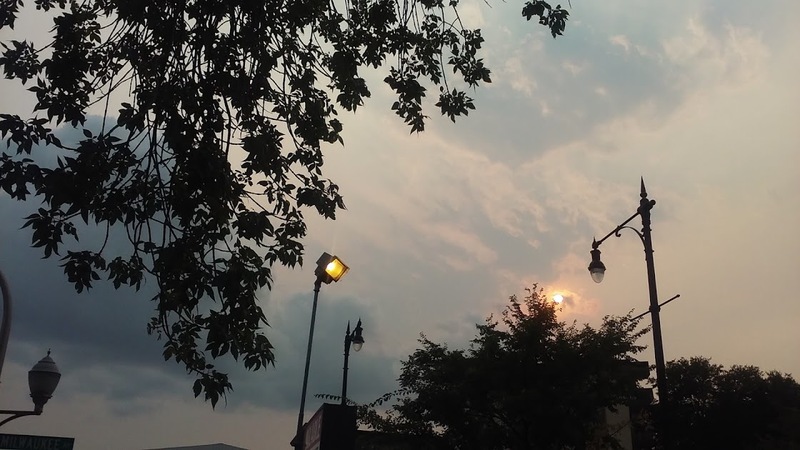 For a time it seemed that Carey might linger indefinitely in Neil Gaiman’s lengthy shadow (his excellent Lucifer series was built on Gaiman’s Sandman universe), but with The Unwritten and the earlier, ill-fated Crossing Midnight, not to mention the Felix Castor novels, he has marked out his own territory. Few people in comics or out can provide such sheer entertainment and good story telling. I’ve finally got round to JG Ballard’s last novel, Kingdom Come. It’s not his best, though still head and shoulders above the competition; and it strikes me as interesting that, for a man whose early novels read like a succession of still lifes, his later thrillers have a real page-turning quality as he exposes the inherent psychopathy of the modern world. He’s a little off the mark in terms of topicality here (unlike his previous book, Millennium People, which so perfectly fingered the malaise of a disappointed middle class), and much of the scenario, with its George Cross-wearing bully boys, recalls Britain in the late ‘70s when the National Front was at its most visible. A move to the right by successive UK governments has taken the demonization of out-groups (immigrants, benefit claimants) from the fringe to mainstream politics, a far more disturbing situation. This, though, is a minor quibble. With his apocalyptic imagery here deployed on the home front, and his trade-mark stylised dialogue, reading this novel is like a reunion with a long-lost friend, reminding me how perceptive and unique Ballard’s work always was. He influenced many, but no-one ever matched him. He is much missed.